Saturday night’s heavy fog and snow, combined with low temperatures resulted in a wondrous phenomenon on Sunday morning. As the fog lifted in the early morning sun, a white-washed landscape came into focus. 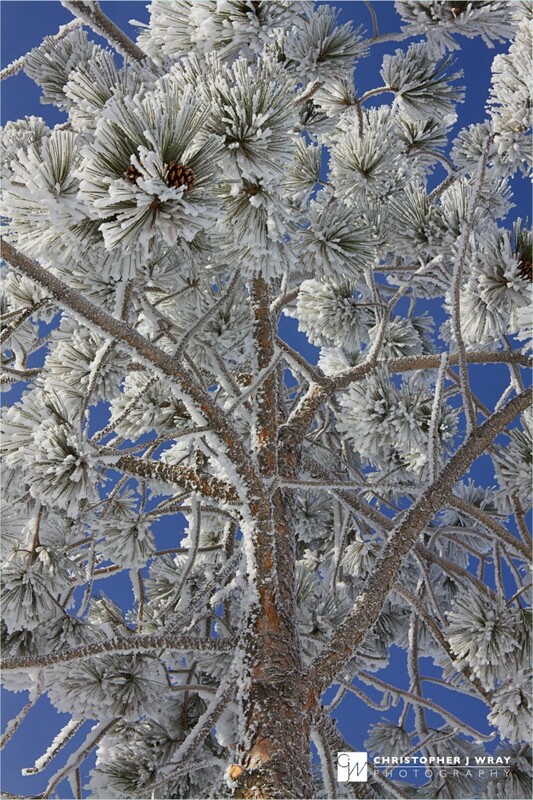 Frosty white ice called hard rime had formed when the water droplets in the fog froze to exposed surfaces, most notably our Ponderosa pines. By late morning, the frosty landscape had melted in the warm Colorado sunshine, expunged without a trace — save a few photos I had made during the early morning. Great winter scenes Chris! We ocassionally get these types of days and they are really beautiful – you’ve photographed it well, especially with a little of the blue sky in the background! Thanks, Jim for stopping by. I should have mentioned in my post that I used just a hint of fill-flash (flash exp. 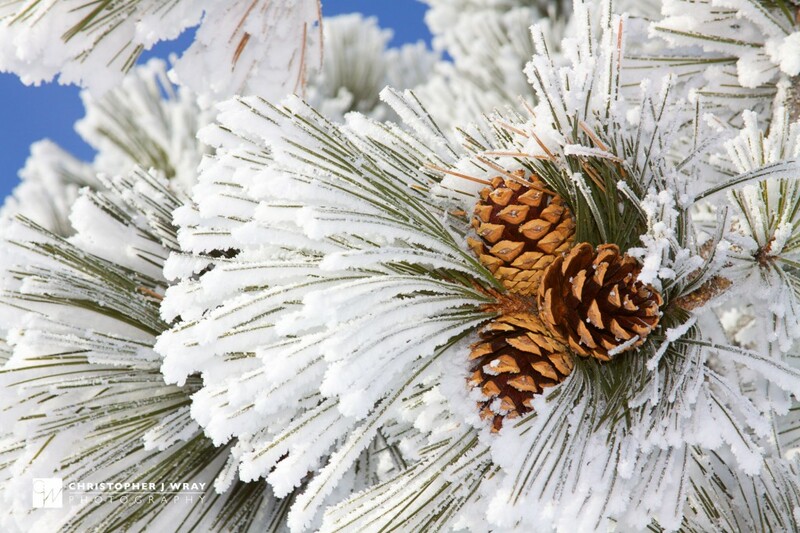 compensation -2/3) with the help of a Gary Fong Lightsphere to bring out the detail in the cones and needles. Oh wow, these are just stunning! You have captured Nature in her true glory – photos like these make me realise again what a beautiful planet we inhabit. This post is just absolutely wonderful! How gorgeous is this?? Great captures, my friend, you really did a wonderful job! We don’t see many scenes like this in Phoenix. I especially like the first shot!